Harrods' new Bespoke Events business has partnered with One Events to offer its services to corporate clients hosting events at the Grade 1-Listed One Mayfair and One Marylebone venues. C&IT revealed in October that the luxury retailer had launched Bespoke Events - Designed & Delivered By Harrods, to support clients and agencies looking to hold events at the iconic Knightsbridge store. 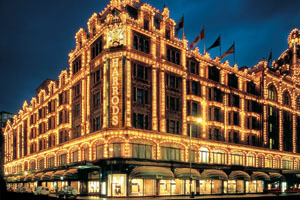 The agreement with One Events will see it offer Harrods' Food Halls and Restaurants services at events held elsewhere. Harrod's has also launched a range of bespoke Olympic packages including private breakfasts and afternoon teas throughout the store. These can be combined with tailor-made behind-the-scenes tours.